Billion Creation is dedicated to providing our customers with the perfect fit. 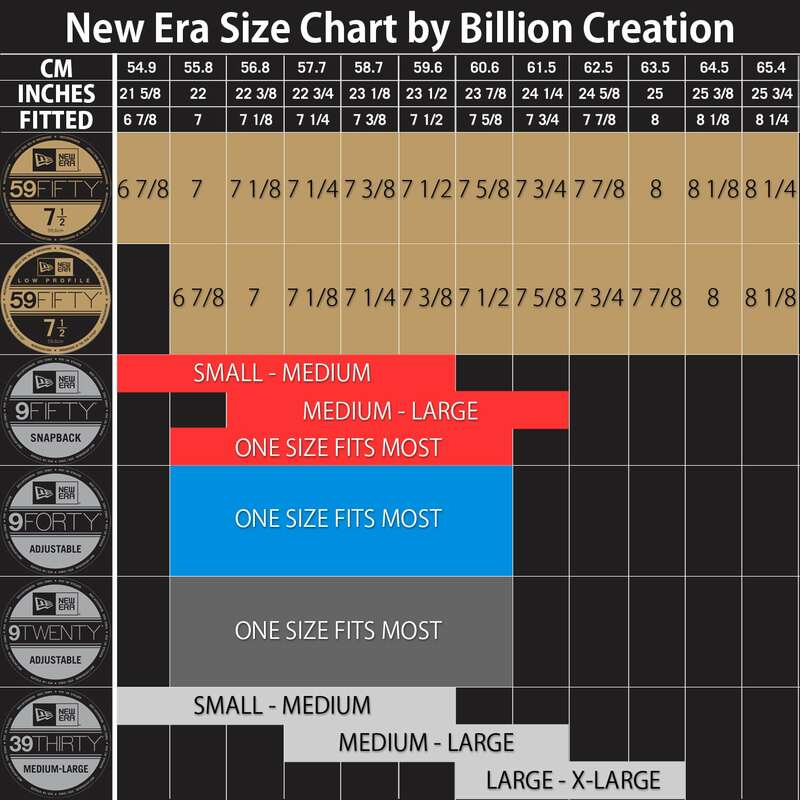 As part of this commitment, we have created this New Era Hat Size Chart. The is the most comprehensive and detailed guide for sizing of New Era hats, including 5950 Fitted Hats, 5950 Low Profile Fitted Hats, 3930 Flex Hats, 950 Snapback Hats, 940 & 920 Adjustable Hats, and 2920 & 1920 Fitted Hats. This sizing chart will help you find your size and the style that best fits you. To find your perfect fit, take a measuring tape and measure around your head where the cap will sit, usually about a half-inch above your eyebrows and ears. Consult the table below to find the right cap size depending on what style you choose. If you are between sizes, buy the larger size. Hats will often shrink, especially if they are made of wool so getting a hat that is just a little too tight will become increasingly uncomfortable over time. How to check your hat size video coming soon! Size matters, but so does style when it comes to getting the perfect fit. Check out our New Era Hat Style Guide to find the style that fits you best. 59FIFTY LOW PROFILE FITTED HATS RUN A SIZE BIG because they are slightly precurved. 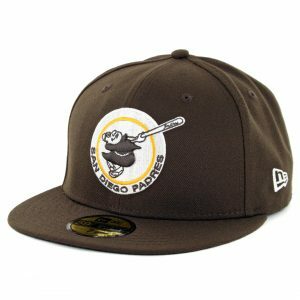 Make sure to go one size smaller if you normally wear the regular New Era 59Fifty fitted. SIZING INCONSISTENT? All New Era hats are handmade in different factories. This means that you may occasionally get a slight variation in sizing even between the same size hat in the same style. It’s just the production variation that sometimes occurs. If you buy a hat from Billion Creation and you are not happy with the sizing of your hat, bring it back and we will make sure you get a hat that fits you just right! BUYING A HAT FOR A BABY OR YOUNG TODDLER? 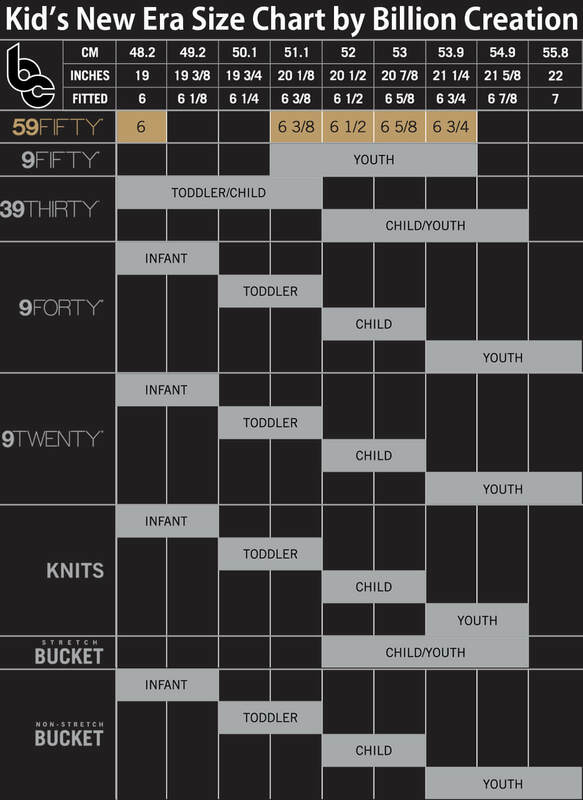 New Era has called their infant/toddler hat by a variety of names including “Infant”, “Size 6”, and “My 1st”. “My 1st” is the current name for the infant/toddler hat. This hat is a size 6. This is the correct fitted hat size for all infants and for some toddlers. If your toddler is older or has a large head, please measure their head size to make sure a size 6 will fit them. Still have questions about your size? Contact Us and we will be happy to help you find your perfect size.